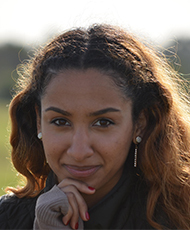 Salina Abraham is the former President of the International Forestry Students’ Association as well as the Youth Coordinator at the Global Landscapes Forum. She also is a co-coordinator to the Youth in Landscapes Initiative, a partnership and capacity building program led by youth organizations and young people across agriculture, ecology, and forestry. Salina is passionate about tapping into commonalities across youth leaders to propel a stronger and more inclusive change. 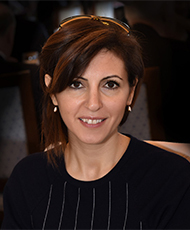 Magda Bou Dagher Kharrat is a professor in Plant Geneticist. Director of the Department of Life and Earth Science at the Saint-Joseph University (USJ) Beirut. She employs genomic tools to investigate tree populations in order to understand their phylogeny, phylogeography and their historical evolutionary processes. The results of her research have allowed her to define conservation policies and forest ecosystem restoration strategies that are optimizing the survival of tree populations in the face of climate change. She is the co-founder and vice-president of “Jouzour Loubnan”, an NGO restoring and rehabilitating the most degraded and challenging landscapes in Lebanon. 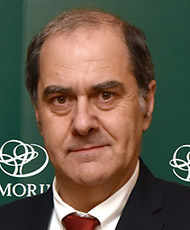 Francisco José Barreiros Rodrigues de Carvalho is a Director of Amorim Florestal, SA. He holds a Degree in Management and Masters in Marketing and Strategic Management from the University of Minho, Portugal. He has been in Corticeira Amorim since 1991, where he is currently a member of the Executive Committee of the Raw Materials Business Unit. He is also a board member of several companies in Portugal, Spain, Italy, Morocco, Algeria and Tunisia, and of AIFF (Association for the Competitiveness of Portuguese Forestry industries). He is also member of the Stakeholder Council of CITAB - Centre for Research and Agro-Environmental and Biological Technologies of UTAD. Since June 2009, he has been Ambassador of the Earth Condominium Project, which aims to reorganize the global neighbourhood and get recognition of climate and ocean systems as World Common Heritage, capturing factors that are vital to the economy and considered as "externalities ". Carol J. Pierce Colfer is a cultural anthropologist affiliated with the Center for International Forestry Research (Indonesia) and Cornell University (USA). 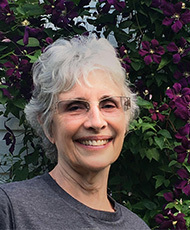 Her research has addressed criteria and indicators for sustainable forest management, human well being, governance, human health, landscapes, and adaptive collaborative management. Her current work focuses on gender, especially masculinities in forests. Her geographical specializations include Southeast Asia, the US, and the Middle East. 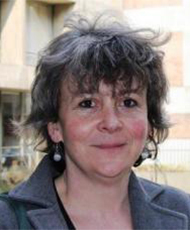 Christine Farcy is a holder of an MSc in agricultural engineering (forest and water) at University of Louvain (UCL) (1994) and a PhD in agricultural sciences and biological engineering at UCL (2005). She is currently a senior researcher, invited lecturer, and international forest policy advisor. Her expertise are in forestry, national and international forest policy, forest planning, remote sensing, information systems, bridge between social and natural sciences, and science and policy cross-fertilization. She is currently among others the chair of the European Forestry Commission of the Food and Agriculture Organization of the United Nations (FAO) and the vice chair of the board of the European Forest Institute. 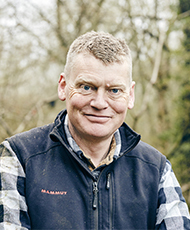 Tom Heap is a broadcaster with BBC TV and Radio specialising in environment and rural affairs. He has made many documentaries and shorter films about the place of commercial and recreational forestry in 21st century economy and society, most recently a half hour radio programme called 'The New Age of Wood'. Tom began his career as a sound recordist for Sky News before making the switch to journalism and 15 years with BBC News, finishing as a Science and Environment Correspondent. He has two wood burning stoves and likes to fell, saw, split and stack himself. 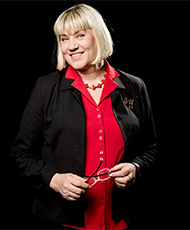 Eeva Hellström is Senior Lead in Foresight and Strategy at the Finnish Innovation Fund Sitra, which is an independent and future oriented public think-and-do tank. As her main duty, Eeva leads Sitra’s Knowledge in Decision-Making project, which focusses on identifying changes needed in the knowledge-policy interface when dealing with increasingly complex social phenomena in a rapidly changing, digitalizing and volatile information environment. Eeva is a forester and D.Sc. in environmental economics. She began her researcher career at EFI in 1993, serving later also in the scientific advisory board and board of EFI. Presently, Eeva is chair of the Finnish Forest Association and chair of the Finnish Forest Centre. 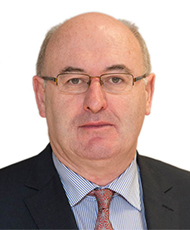 Phil Hogan is the EU Commissioner for Agriculture and Rural Development since November 1 2014. From 1989 until he became Commissioner, he represented the Carlow/Kilkenny constituency in Dáil Éireann, the Irish Parliament, where he served in the Fine Gael Party shadow cabinet and as spokesman on Europe, on the food industry, on consumer affairs and on regional policy. Between 2011 and 2014, he served as Minister for the Environment and Local Government in the Irish Government of Prime Minister Enda Kenny TD. During this time, he successfully implemented a broad-ranging agenda, including the biggest reform of local government since the foundation of the Irish State. He has also occupied various senior posts at local, national and European level. Inazio Martínez de Arano is Head of Office at EFIMED since June 2013. He holds a degree in Ecology (Basque Country University), a post-degree in Landscape management (Polytechnic University of Valencia) and a M.Sc. in Forestry (Universidad Austral de Chile). 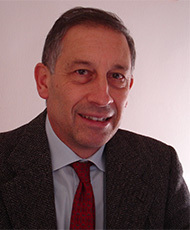 Previously he has been coordinator of forest research at NEIKER and has served as Executive President at the Union of Foresters of Southern Europe (USSE), where he was involved in the analysis of forest-related policy developments at European and global levels, and the evaluation of the potential effects of policies and regulations on Mediterranean and South Atlantic forests and forestry. His current focus is in understanding the challenges and opportunities for innovating in the Mediterranean bioeconomy. 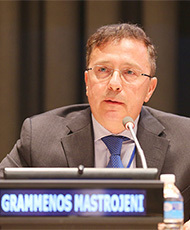 Grammenos Mastrojeni is a Diplomat, Professor and Writer. He has pioneered research and action on societal, geo-strategic and economic impacts of environmental degradation. Currently, Coordinator for the Environment and Head of the Science-Policy Interface with Italian Development Cooperation; MFA Head Negotiator on water, lands, and oceans for the Ministry of Foreign Affairs, and member of the Delegations to UNFCCC, UNCBD. Co Chair of the G7 Group on Climate and Fragility, Chair of the Global Mountains Alliance – Mountain Partnership, Member of the Board of the Global Islands Partnership. Professor of Environment and Geo-strategy at various think-tanks and universities and member of various scientific boards. Grammenos has authored numerous articles, official reports, and five books about human impacts of environmental degradation. 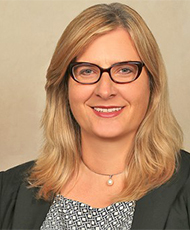 Eva Muller has 35 years of experience in forestry development, mainly in developing countries. She has worked extensively in Africa, Latin America and Asia. Before joining the Food and Agriculture Organization of the United Nations (FAO) in 2004, she was Assistant‑Director for Reforestation and Forest Management of the International Tropical Timber Organization (ITTO). Currently she is Director of the Forestry Policy and Resources Division at FAO Headquarters in Rome, Italy. Ms Muller has a Masters Degree in Forestry from Yale University, USA, and a PhD in Natural Resources from the University of Hamburg, Germany. Knut Øistad graduated from University of Life Sciences, Norway. He has experience from research, as Norwegian Counsellor for Agriculture and Forestry in Brussels, private sector and several years as Deputy Director General, Department of Forest and Natural Resource Policy in the Ministry of Agriculture and Food. 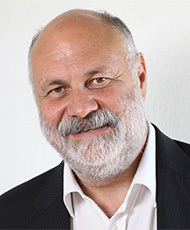 Øistad is currently Head of Department of Economics and Society in the Norwegian Institute of Bioeconomy Research (NIBIO). Øistad is Chair of the Board of European Forest Institute. 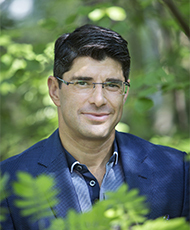 Marc Palahí is the Director of the European Forest Institute and responsible for leading the organisation towards an acknowledged pan-European science-policy platform. Previously he led EFI’s policy support activities and during this time was instrumental in launching ThinkForest, a European high-level science forum on the future of forests. He has also worked as Head of EFI’s Mediterranean Regional Office, EFIMED. He has a PhD in forestry and economics and an MSc in forestry engineering. 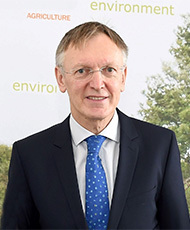 Janez Potočnik is Co-Chair of the International Resource Panel hosted by UNEP, Chairman of the Forum for the Future of Agriculture and RISE Foundation and a Member of the European Policy Centre's Advisory Council. After a successful career in Slovenia as a researcher at the Institute of Economic Research, Director of the Institute of Macroeconomic Analysis and Development, he was appointed Head of Negotiating Team for the Accession of Slovenia to the EU (1998). He was also Director of Government Office for European Affairs (2000), Minister Councillor at the Office of the Prime Minister (2001) and Minister responsible for European Affairs (2002). In 2004 he joined the European Commission, first as shadow Commissioner for Enlargement, then as Commissioner responsible for Science and Research, and from 2010-2014 as Commissioner for Environment. Fabio Salbitano is professor of Landscape Ecology, Applied Silviculture, Forest and Landscape restoration, and Urban Forestry at the University of Florence, Italy. Since the middle 80s, he has carried out research on forest, health, and wellbeing, landscape perception, restorativeness potential of urban green spaces, landscape ecology and history, strategic planning and participatory processes. His latest research work concerns the restorative potential of urban forests and the comfort of nature (thermal comfort, perception of naturalness) in urban settings. 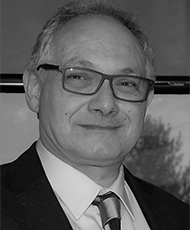 Giuseppe Scarascia-Mugnozza is Full professor of Silviculture and Forest Ecophysiology and Director of the Department of Biotechnology, Agrofood, and Forest Innovation at the University of Tuscia, Viterbo, Italy. Former Coordinator of the EU Large Infrastructure POP/EUROFACE and partner of several EU research projects, national delegate and vice-chair of the ESF-COST Domain “Forests, their Products and Services”, member of Core group of Biology Committee of the European Science Foundation, past-Chair of the EFI Board. His research activity, with more than 200 scientific papers and books, has been conducted mainly on the following themes: trees and forests responses to climate changes and increasing CO2 concentrations, Mediterranean and mountain forest ecosystems, ecophysiological determinants of fast-growing tree species and evaluation of genetic and physiological traits of natural populations of Populus. 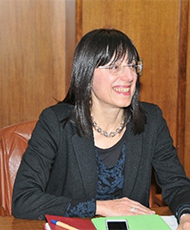 Donatella Spano is a Regional Minister of Sardinia Region for the Environment Protection and Chair of Environment and Energy Commission of the Italian Conference of Regions. She is full Professor and Scientific Coordinator of the PhD program in Agrometeorology and Ecophysiology of Agricultural and Forestry Ecosystems at University of Sassari. She followed a PhD in Biometeorology and she is actively involved in European and international research activities on the assessment of impact of climate change and modelling in the field of agriculture and forestry. She is also a member of the Strategic Committee of the Euro Mediterranean Centre on Climate Change and Founding Member and President Elect 2013 of the Italian Society for Climate Sciences. 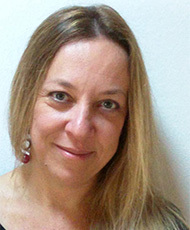 Elisabetta Tola is a Science, tech and data journalist. Founder @formicablu and @datajournalism.it. Contributor on datajournalism for AGI @Agenzia_Italia. Author of collaborative international investigative projects Seedversity.org, SEEDcontrol and Hearing voices. Radio presenter at RAI @Radio3scienza. Media trainer (Google News Lab 2015-17; @MCS_Sissa; @FuturaTorino; @InCronaca). Currently collaborating with the European Forest Institute on science-media programmes for the Lookout Station. Riccardo Valentini is a Researcher at the University of Tuscia, Faculty of Agriculture working on plant – climate interactions. He was one of the pioneers of terrestrial carbon flux measurements and coordinated a global network of more than 600 flux towers (FLUXNET). He’s been a member of the SC of the Global Carbon Project, Chair of the UN program GTOS. He received the ERC Senior Advanced Grant concerning the role of African tropical forests in the global greenhouse gas balance. He was coordinating lead author in the IPCC 3rd and 5th report on Climate Impacts and Adaptation. He was appointed as Coordinator of the Megagrant n.221 of the Russian Ministry of Science and Technology leading a group of about 40 scientists at the Russian State Agriculture University in Moscow. His main research interests concern GHG balances in relation to land use and land use changes. Recently his also interested on how current food systems are impacting the coupled human – biosphere interactions and how new systems should be implemented to reduce human pressures on natural resources. Georg Winkel is Head of Programme (Resilience) at the European Forest Institute in Bonn. He has a background (MSc) in Forest Sciences, holds a PhD and Habilitation degree in forest and environmental policy from the University of Freiburg. He is currently also affiliated with the University of Freiburg and Yale University (Faculty Associate). His main research interests and competencies are inter- and transdisciplinary research relating to forest and environmental topics. Dr. Winkel has led and contributed to various European research projects. He has authored more than 90 publications, 49 of them peer-reviewed scientific publications. He is very active at the science policy interface and has given more than 150 academic presentations in his career.